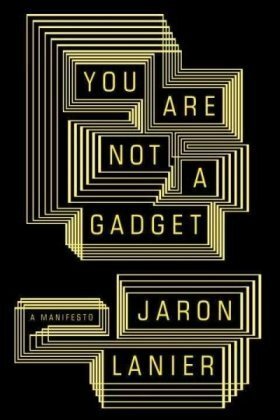 “Jaron Lanier, a Silicon Valley visionary since the 1980s, was among the first to predict the revolutionary changes the World Wide Web would bring to commerce and culture. Now, in his first book, written more than two decades after the web was created, Lanier offers this provocative and cautionary look at the way it is transforming our lives for better and for worse. Reviews: Adam Thierer (Technology Liberation Front, 2010), Clive Thompson (Bookforum, 2010). i’m trying to download this book, but the url doesn’t seem to fly.